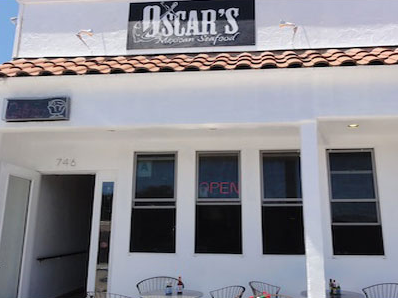 We live in Pacific Beach and venturing out from our neighborhood seems like a helluva process sometimes, so when we do depart the beach we like to maximize our experience by sampling a bunch of spots in one easily walkable area. We've been making it a Sunday tradition as of late, and thought maybe others would benefit from our explorations, so we rounded up San Diego's hottest blocks where you can bounce around to many delicious locations in the same general vicinity. 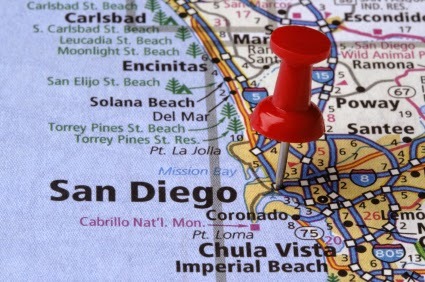 Of course there is 30th Street in North Park, Garnet Avenue in PB, Newport in OB, Prospect in La Jolla, India in Little Italy, 5th Avenue in the Gaslamp, and the Coast Highway from pretty much Del Mar to Oceanside, but these lesser known hubs offer a handful of hotspots in a traversable locale. Convoy between Dagget and Opportunity, Clairemont/Kearny Mesa - Convoy is generally known as the mecca of awesome Asian food in San Diego, but this area is also tops for experiencing an eclectic mix of delights. In just one tiny little plaza (good luck parking!) one can experience Rakiraki Ramen, Babs Bao's Awesome Burgers & Sandwiches, Crab Hut, Tofu House, Red Moon Noodle House, Shabu Shabu House and O'Brien's Pub. Nearby, there's also Korean food at Korea House and Min Sok Cho. Across the street, you'll find Chinese food at Dumpling Inn and Jasmine Seafood Restaurant, a great Japanese izakaya in Tajima Ramen House, as well as Chopstix, Pho Convoy Noodle House and Maru Lounge. 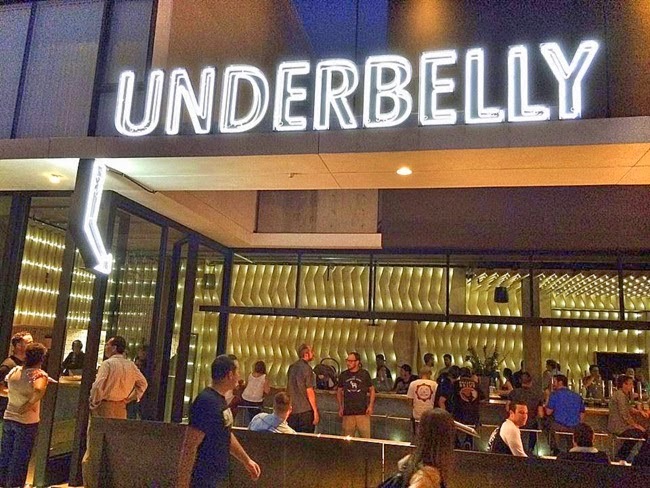 30th & Upas area, North Park - In one little corner of the ultra-hip North Pork neighborhood, you can grab ramen at the new Underbelly, beer from the Modern Times Flavordome and have a few gourmet tacos at Tacos Perla. But that's not all...also nearby is the highly regarded Smoking Goat, the deliciously divey Bluefoot Bar & Lounge, mac 'n cheese-centric Bazinga Eatery, as well as Cardamon Cafe & Bakery, Zensei Sushi, Influx Cafe and Mosaic Wine Bar. 7th - 9th & J area, East Village - When South Paw was still in this area, it was one of our favorites of all San Diego's little hubs, but even with South Paw gone (which should not have happened), this small stretch adjacent to Petco Park is pretty awesome. The combination of Común Kitchen and Tavern, Table No. 10, Basic, Toast Enoteca, Sol Cal Cafe, Stone Brewing Tap Room, Rare Form, Fairweather and The Blind Burro make for a delicious night out. The East Village has become quite the dining destination this year. Emerald & Mission Boulevard area, Pacific Beach - This is our own 'hood, so we may be a bit biased, but this nook right by the Pacific hosts some really legit places to eat and imbibe, including some of San Diego's best taco shops. After an afternoon on the beach, take a short walk and you'll be able to visit The Duck Dive, La Perla Cocina Mexicana, Taco Surf, Twisted Manzanita's new tasting room, Bare Back Grill, Dirty Birds, Oscar's Mexican Seafood and Amore Pizza, which has our favorite calzone in town. A close walk from here and you can also hit up JRDN at Tower 23, Izakaya PB and Fat Fish Grill. P.S. The hatin' on PB needs to stop! It's just ignorant. Washington & Goldfinch area, Mission Hills - Mission Hills is a very up-and-coming area of San Diego. 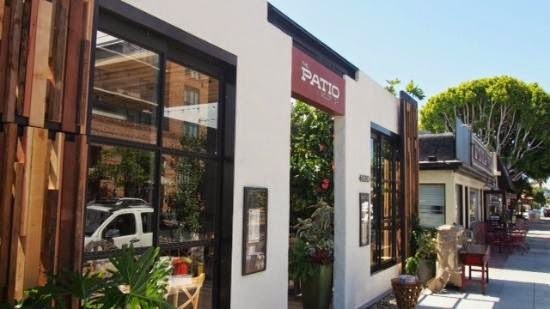 The addition of The Patio on Goldfinch this year helped to secure the area's spot on this list. On the same block, you'll also find Brooklyn Girl, The Huddle and Lefty's Chicago Pizzeria. Right down the road, there is also Olivetto Ristorante, the coming-soon Farmer's Bottega Restaurant, The Lamplighter karaoke bar, Venissimo Cheese, Cafe Bleu, Red Door and The Wellington Steak & Martini Lounge. Oh, and Bronx Pizza is not too far from here either if that helps. 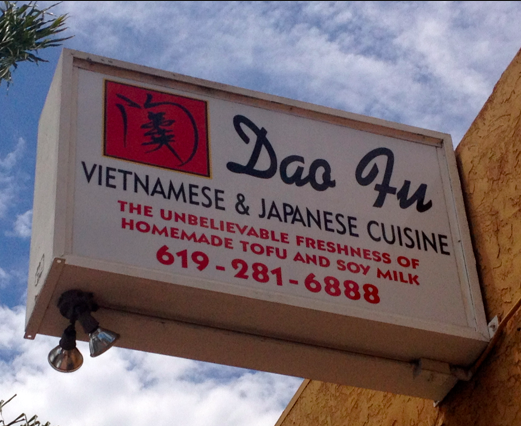 34th & Adams area, Normal Heights - One of our favorite places in San Diego that we've been reluctant to share for fear that it will become too popular, more expensive and less charming is Dao Fu in Normal Heights. We love venturing out to this neighborhood because there are many other gems including Blind Lady Alehouse, Rosie O'Grady's, Proprietors Reserve Wine Bar, Sycamore Den, Country Kebab, Lestats Coffee House, Jyoti-Bihanga, The Ould Sod Irish pub, the delicious Zia's Pizza, Bine & Vine Bottle Shop and Viva Pops. This area is great for vegetarians. Bacon & Niagara area, Ocean Beach - It's not the most business-dense block on this list, but with Newport Avenue close by (not to mention that great big beautiful drink named 'Pacific'), there is still plenty to explore. Grab an eggplant or meatball parm sub from Poma's Italian Deli (sooooo simplistically delicious), munch an organic beef burger from Raglan Public House and slurp a big bowl of pho and some amazing wings and sake at OB Noodle House's second location (is it actually called Bar 1502? I don't know. Having two names and two concepts in one place is stupid). Nati's Mexican is also nearby but we do prefer Nico's on Newport. If you ever need an honest recommendation for a night out, special occasion or even a simple lunch break, feel free to shoot us an email at admin@sandiegoville.com, and be sure to follow us on Facebook, Instagram and Twitter to see all the places we'll go!